In part 1 (see here), we saw some details of the Blade Reamers´ concept. 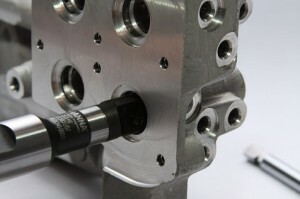 The components and applications of this tool were discussed. Now, we will see some of its advantages and benefits. This is its main advantage. 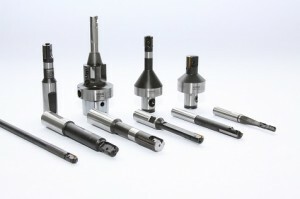 Blade Reamers are built to generate a specific dimension. However, its fine adjustment system helps the user to compensate some variables in the process, allowing the application in operations of tight dimensional and geometrical restrictions – the precision can reach 0,006mm, which means 1/10 of a human hair breadth. 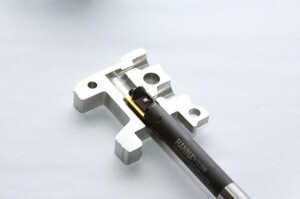 This feature makes the Blade Reamer the most indicated tool for complex finishing operations. 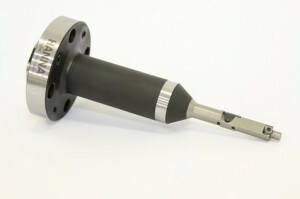 Through the selection of the correct blade, coating and an appropriate design, the Blade Reamer can be applied to a large range of materials, such as normal and special steel, cast iron, aluminum alloy, titanium and carbon fiber (material of great usage in aerospacial and high performance automotive industry). 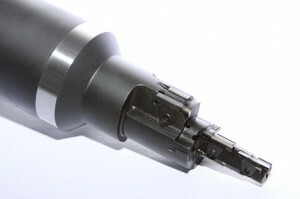 The concept of the Blade Reamer can be applied to a large range of machines, such as column drills, milling and lathing machines, machining centres, transfer machines, among other. For each type of machine there is a specific method of application that guarantees the operation success. 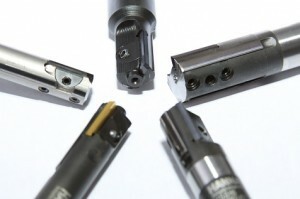 The combination of several operations in a single tool provides reduction of machining time, elimination of other tools and even elimination of other work stations. When the Blade Reamer looses its cutting capabilities, it is not necessary to regrind it. A simple indexation or replacement of its blades is enough to give the tool a whole new life. The tool body can last several blade indexations and is considered a non consumable item on cost studies. After some time of usage, however, the guides will wear out. At this moment the tool can undergo a refurbishing process. The Blade Reamer guarantees excellent geometrical and surface roughness tolerances for long periods of operation without the need of frequent adjustments.